The following bird guides are available in the greater Miami area. When you contact them, please let them know you obtained their contact info through Tropical Audubon Society's website. Angel & Mariel are naturalists, professional birding guides and mentors to young birders. Guiding birders around the busy cities of South Florida is our specialty. Let us guide you to see South Florida's ABA-countable exotic and native species such as: Mangrove Cuckoo, Short-tailed Hawk, Black-whiskered Vireo, Spot-breasted Oriole, Red-whiskered Bulbul, White-winged Parakeet and more. With Nature is Awesome Tours you get two knowledgeable guides for the price of one! We design our tours with passion and enthusiasm, and a woman's thoughtfulness in each and every tour! We both speak English and Spanish fluently, which is a plus in this melting pot we call South Florida. Knowing where to find your wish list items is our job, you just sit back and enjoy the scenery. Contact Angel and Mariel by phone: 305-978-6925, Email or visit their website. Contact Paul by phone: 786-202-2473, or Email. 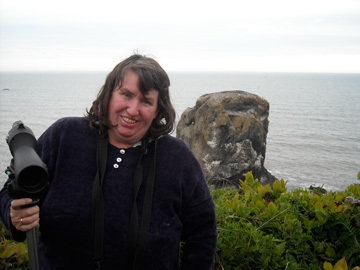 Contact Paddy by phone: 754-201-1141, Email, or visit her website. 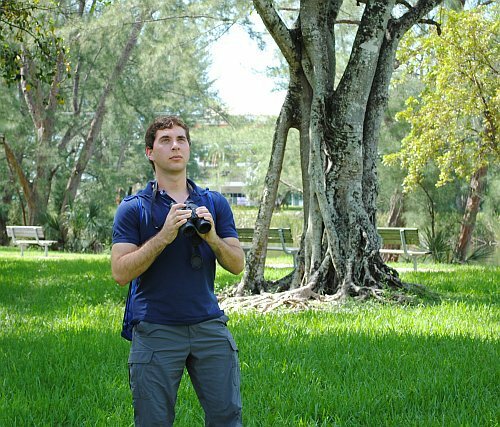 Larry was born in Miami and has been interested in birding since he was about 6 years old, when his mother gave him his very first book on birds. He's had a life list since about 8 years old. Having lived in South Florida for more than 30 years. He's familiar with the locations of the South Florida specialties as well as the rest of Florida. Many birders might remember his name for the Western Spindalis that showed up in his yard between January 3rd and February 26, 1992. More than 400 people came to see that amazing vagrant. Realizing the number of people that share his interest, He decided to start guiding professionally. He has birded most of the birding hotspots of North America (Attu Island Alaska, Southern Arizona, South Texas, California, etc...) as well as most of the Caribbean Islands (The Bahamas, Puerto Rico, Dominican Republic, Jamaica, Montserrat, Martinique, Grenada, St. Vincent, Guadeloupe, Barbados's, Antigua and Barbuda). On a trip to the Dominican Republic with P.William Smith, they discovered a bird not previously seen on Hispaniola, possibly a new species (see the accompanying article. He's familiar with all North American birds, not just Florida specialties, as well as with Caribbean strays. 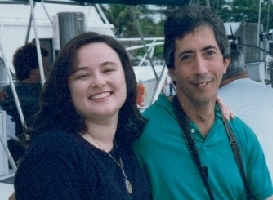 He contributed to the book titled “A Birder’s Guide To Florida” by Bill Pranty. He wrote the chapter on Homestead and helped with the sections on Miami, the Florida Keys, and Everglades National Park. He co-authored "A Birder's Guide To Metropolitan Areas of North America" by Paul Lehman and sold by American Birding Association. In 1997, he married his wife Christine, who is originally from France. In their first year birding together, she saw more than 300 species of birds, most of them observed in Florida. Contact Larry by phone: 305-299-1606, Email, or visit his website. Born in Miami, Florida, Carlos Sanchez has had a fascination with wildlife as far back as he can remember combined with an unquenchable thirst to learn — the first books he checked out of the library were Beehler’s “Birds of New Guinea” and Stiles and Skutch’s “Birds of Costa Rica.” While studying at the University of Chicago and the University of Miami for his International Studies degree, he began to bird in earnest throughout Florida, South America, and even Australia. Currently, Carlos sits on the board of the Tropical Audubon Society, is a regular contributor to the birding blog 10,000 Birds, and leads local tours through his company, EcoAvian Tours..
After graduating from the University of Miami, Carlos accepted a position to do shorebird and waterfowl surveys across the northern Gulf coast, as well as taking advantage of an opportunity to do pelagic bird surveys in the Gulf of Mexico on a NOAA ship — the Gordon Gunter. However, the Neotropics were beckoning for his return — in 2010, he guided at Bellavista Lodge in Ecuador as well as spending time to extensively travel throughout the country. In 2013, Carlos returned to South America again to guide at Cristalino Jungle Lodge in Brazil. In one of the most biologically complex, difficult, yet rewarding sites in the world to bird, his experience guiding there strengthened his resolve to follow his passion. 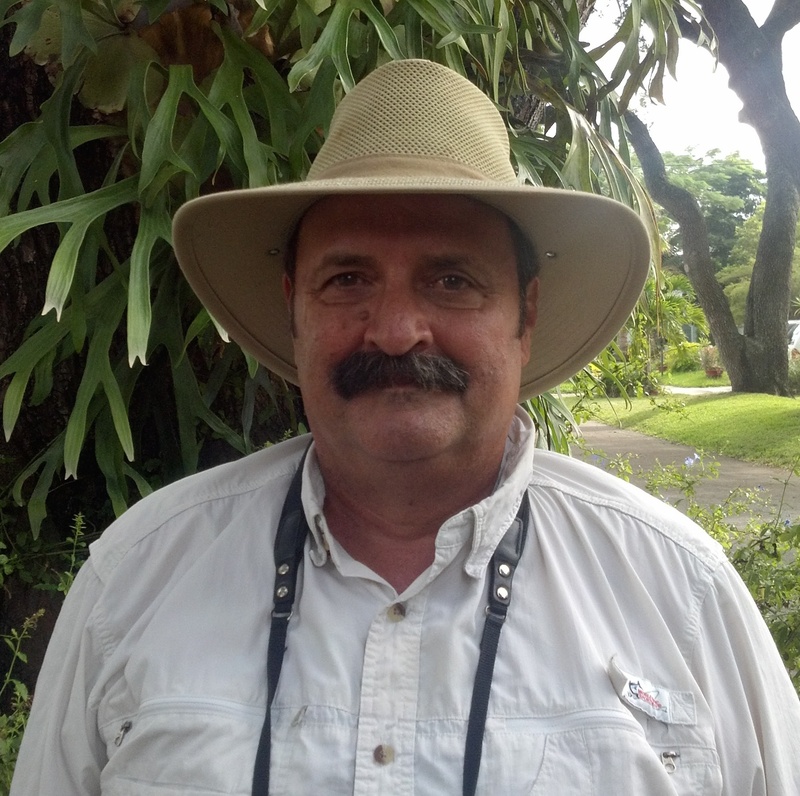 Despite having experience birding on four continents, Carlos always returns home with renewed enthusiasm and appreciation for the birds of southern Florida where he has guided clients for the past five years. Contact Carlos by phone: 786-227-2334, Email or visit his website.